Dios entre Nosotros (DEN) equips couples to revitalize and strengthen their families through retreats, workshops and DEN events. 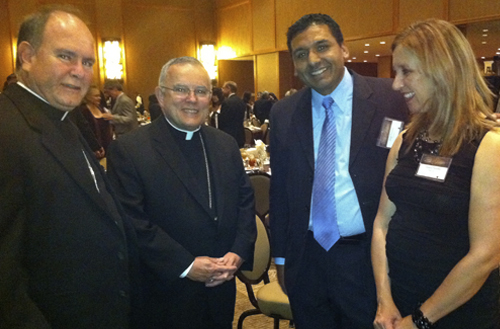 Dios entre Nosotros is the fruit of the effort and experience of Viviana and Jorge Paredes who for more than 25 years have dedicated themselves to serving the Hispanic Catholic community in the United States. Jorge Paredes and Viviana Martinez are the founders of the marriage and family life ministry Dios Entre Nosotros (God With Us). 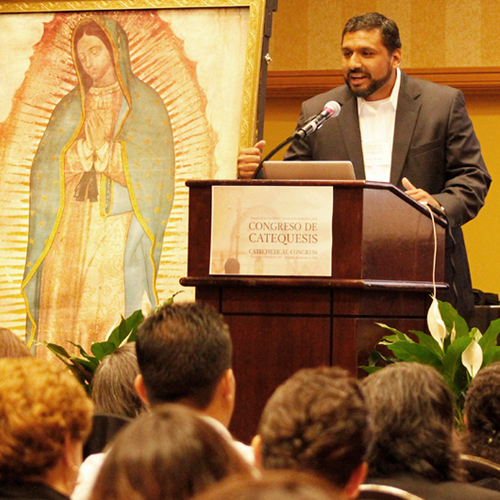 Their passion for serving Hispanics in the United States began in Miami, Florida and expanded to Denver, Colorado. A call for evangelization started when they were very young. In Lima (Peru), Jorge participated in missions in different parts of Peru and supported the communications efforts of ​​the Christian Life Movement (CLM) while studying marketing and advertising. In Santiago (Chile), Viviana was the Campus Ministry Coordinator at the Catholic University of Chile while earning her degree in education. 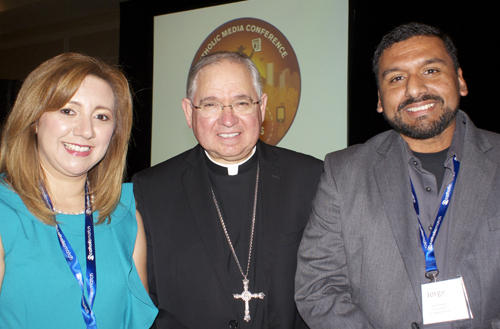 Jorge graduated from YAMI (Young Adult Ministry Institute) a program at Saint Thomas University in Miami, Florida and was part of the Archdiocesan Committee of Young Adults with the Archdiocese of Miami. Jorge and Viviana were youth and young adults leaders at St. Kevin Catholic Church and later started their ministry to families. Viviana is a graduate of the Master’s program in Bilingual Education at Regis University, worked as Hispanic Family Coordinator at the Archdiocese of Denver and is currently the Director of Dios Entre Nosotros. Jorge worked in the Office of Communications at the Archdiocese of Denver, he is part of the development team at FORMED.org and serves as Director of Communications for Dios Entre Nosotros, he is also the founder of “Father-Son Mission” an initiative to serve poor families in Peru while revitalizing the Father-Son relationship among the missionaries. 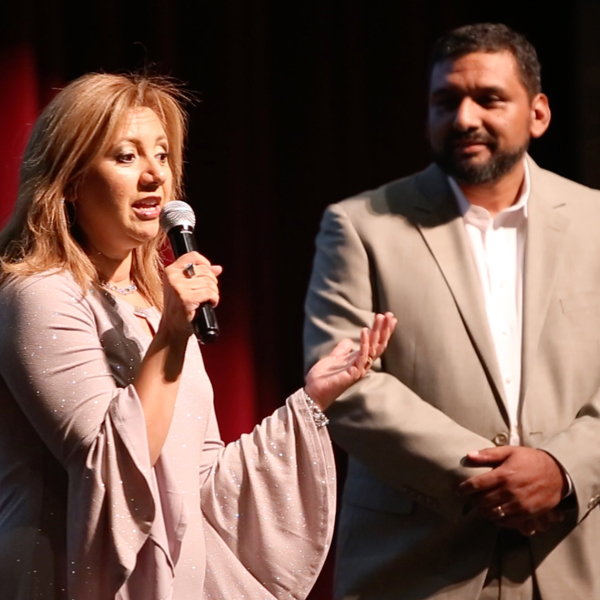 Jorge and Viviana support the Archdiocese of Denver leading the marriage preparation program in Spanish along with many other marriage enrichment initiatives. Both are accredited leaders for the Gottman Institute in Seattle, a prestigious institution specialized in strengthening marriages and couples relationships. 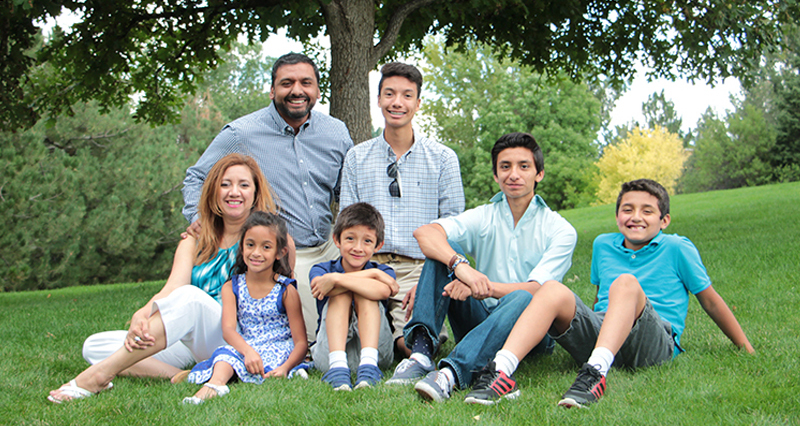 Jorge and Viviana live in Denver, Colorado and have 5 children.